How do you do? Conceived by Johanna Billing, How do you do? 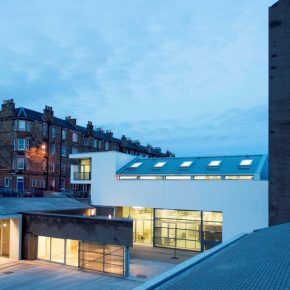 Is an attempt to capture collective knowledge, expertise and erudition of Edinburgh Sculpture Workshop’s community. Edinburgh Sculpture Workshop has a diverse user group of local, national and international artists all with different approaches, different praxes, methodologies, ideologies, materials, processes and beliefs reflecting the scope of contemporary sculpture, the ambiguity of its borders, the proliferation of new ideas and their roots in an historical context. Through soliciting contributions from members and artists who have been involved with the organisation Johanna will compile a book that will be part manual, part portrait of the organisation which will define the scope of the ideas, skills and interests of its’ members and simultaneously the activity and concerns of a generation of contemporary artists. The resulting publication will be edited by Johanna Billing and Dan Brown of Edinburgh Sculpture Workshop and designed by Kajsa Stahl of Åbäke. Edinburgh Sculpture Workshop will also be screening a selection of Johanna’s film work as part of the launch programme of the Creative Laboratories.